My friend Liessa came over to check out my wormbin. 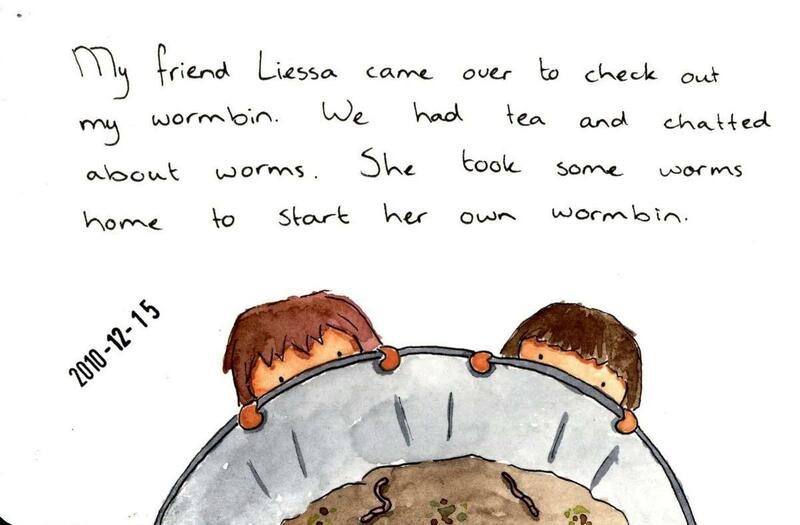 We had tea and chatted about worms. She took some worms home to start her own wormbin.